completely different. What you will find is that Office Shop Inc.
time is under four hours. we do our best to provide real solutions quickly. 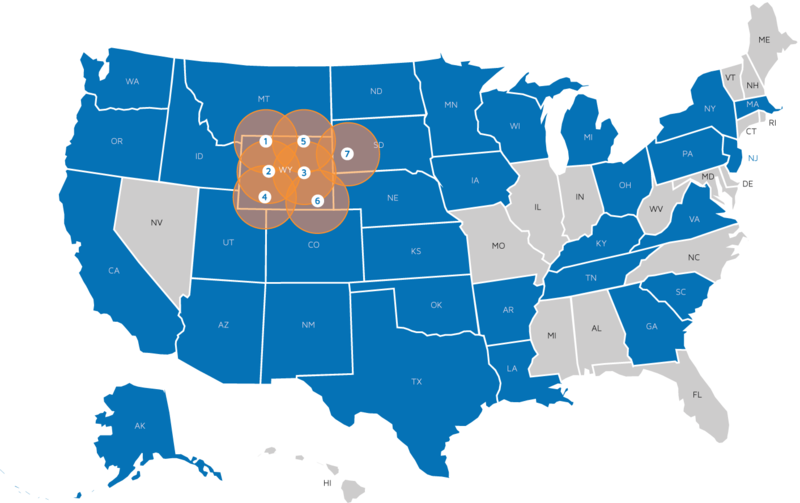 We have locations throughout all of Wyoming and western South Dakota, with customers expanding across half of the United States and into Canada! We’re always looking to grow and reach more customers;Request a Quote for your expert solution! The Office Shop Inc. has supplied and serviced the copier equipment in Park County School District #6 – Cody, for 26 years since 1984. We currently have 25 Canon devices that The Office Shop Inc. is maintaining and supporting in our organization. We are very happy with the prompt, friendly service we receive from Randy and his crew. The Office Shop Inc. has supplied and serviced the copier equipment in our organization for the past 15 years. We currently have 22 Canon devices that The Office Shop Inc. is maintaining and supporting. The technicians are well trained and always arrive for repairs in a timely manner. The office staff is always very efficient and prompt when requesting service and supplies. The Office Shop Inc. has supplied and serviced copier equipment in our district for the past 15 years. During that time frame we have purchased numerous copiers from them and we have found the machines to be very reliable. We have also found The Office Shop folks to be equally as reliable. They are very responsive to our needs and the have earned my trust. We currently have 13 Canon copies that The Office Shop is maintaining and supporting. In the past 8 years we have gone out twice for proposals on our copy machines. Each time we stayed with The Office Shop because of the quality and reliability of the Canon machine and because of the extremely high level of service we receive from The Office Shop. Other vendors can meet The Office Shop’s and Canon’s prices but no other vendor even comes close to offering the level of service we receive. Response time on a maintenance call is very critical and the College has never had to wait over 24 hours for technician and most calls are responded to in less than 4 hours. Our organization recently completed a very extensive copier rebidding and vetting process. I can say that The Office Shop stood out among all the bidders. The level of service that you will receive from The Office Shop is far above what any other vendors have ever provided to our organization. The Office Shop is a pro-active entity, with extremely well trained technicians and has done everything in their power to take excellent care of our needs. We have been extremely pleased with The Office Shop’s response time when we happen to have a problem with a machine. They are also extremely dependable when it comes to routine maintenance. Their technicians are prompt, thorough and very knowledgeable. I have also been pleased in dealing with their sales team in regards to fleet rotation and replacements. Their pricing has always been highly competitive. They are willing to work with us in regards to budget restrictions and timing issues. They have great insight as to logical placement of older machines while they filter through the district’s rotation. The Office Shop Inc. has supplied and serviced the copier equipment in our organization for the past 17 years. We currently have 20 Canon devices that The Office Shop Inc. is maintaining and supporting. The consistent high quality and promptness of service we receive from the Office Shop has always been a deciding factor in our decisions to continue with the Canon product line. The Office Shop Inc. has supplied and serviced the copier equipment in Fremont County School District #2 for the past ten years. We currently have seven Canon devices that The Office Shop Inc. is maintaining and supporting. The Office Shop’s response time for maintenance and repair has been outstanding for Fremont County School District #2 in Dubois, Wyoming. The fact that we are 80 miles from any major community has never been an issue for the Office Shop. The business has honored their response time of 4 hours. The Office Shop Inc. has supplied and serviced the copier equipment in our organization for the past 26 years. We currently have 13 Canon devices that the Office Shop Inc. is maintaining and supporting. The Office Shop has been a tremendous asset for our school district. Their service response time is always prompt and their technical support readily available. Big Horn School District No. 1 has been extremely satisfied with our relationship with the Office Shop Inc.